PAXnouvelles.com Designed specifically for French-language readers PAXnouvelles.com features exclusive content in French, which means you’ll always be informed and find important information on product launches, training activities, new brochures, FAM trips, supplier specials and contests. 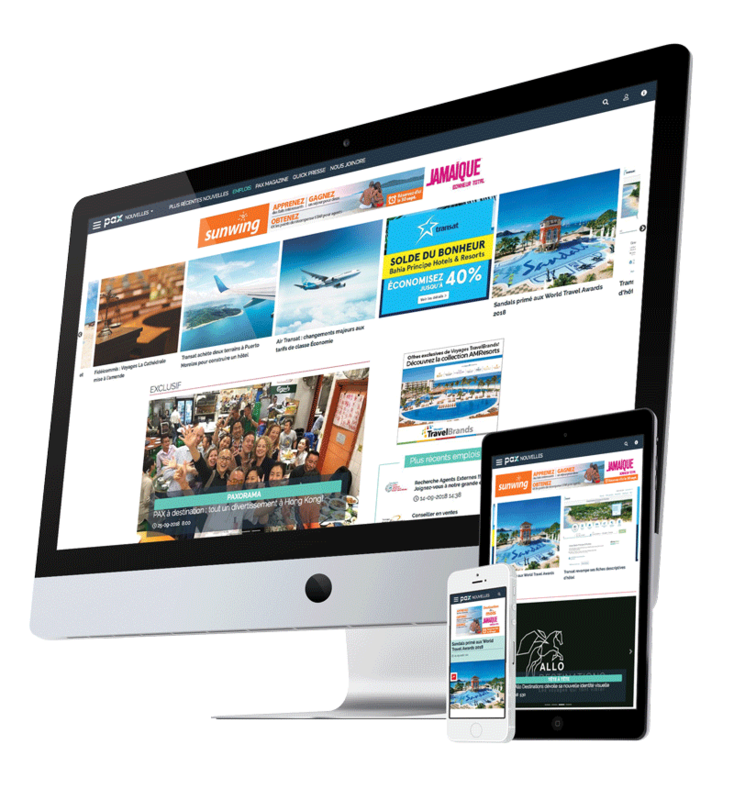 With interviews and profiles on members of the Quebec travel industry, PAXnouvelles.com subscribers can depend on the site to keep them informed of industry innovations. In order to achieve maximum impact for our advertisers and ensure the trade is kept current PAXnouvelles.com distributes a daily newsletter consolidating the day’s top stories, announcements and events. Published and distributed by e-mail, daily M-F to 10,675 travel professional , this allows travel agents to be kept informed when it comes to travel deals, promos, loyalty programs, webinars and contests. Additionally, special editions with breaking news and events are sent on an ad-hoc basis.